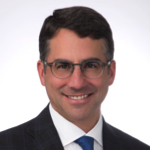 Doug Davison is a partner at Linklaters LLP. Doug defends individuals and entities in a range of cross-border proceedings involving the SEC and other federal, state and foreign agencies. He also counsels clients about compliance, sanctions, corporate governance and disclosure issues. Doug previously served as counsel to former SEC Chairman Arthur Levitt. Prior to that, Doug served as a staff attorney and then supervisor in the SEC’s division of enforcement, evaluating and enforcing compliance with the federal securities laws. Doug has been selected as a leading attorney in Chambers USA: America’s Leading Lawyers for Business; named as one of Securities Docket’s “Enforcement 40,” a list of the 40 best and brightest individuals in the securities enforcement field; and recognized as a “recommended lawyer” for corporate investigations and white-collar criminal defense by Legal 500 US.